For all we know, statistics show that there were many poor and needy Filipinos. No wonder the Philippine government has already addressing this particular socio-economic problem through the so-called the Pantawid Pamilyang Pilipino Program (4Ps) by giving or extending the conditional cash transfer (CCT) to those legitimate beneficiaries/grantees. Does that kind of assistance by the government may alleviate or ameliorate the dismal standard of their living? What do you think? Anyway, The Church of Jesus Christ of Latter-day Saints (LDS) or popularly known as Mormons has its own practical way of addressing their members who are poor and needy through their self-reliance program. Seventy-four thousand two hundred eleven (74,211) adult members of the Mormons belong to the poor and the needy category. Thirty-Seven percent (37%) of these or 38,197 were unemployed and thirty-three percent (33%) or 36,014 were underemployed. In so doing, they'll be blessed and they'll learn on how to act towards a path for greater self-reliance. 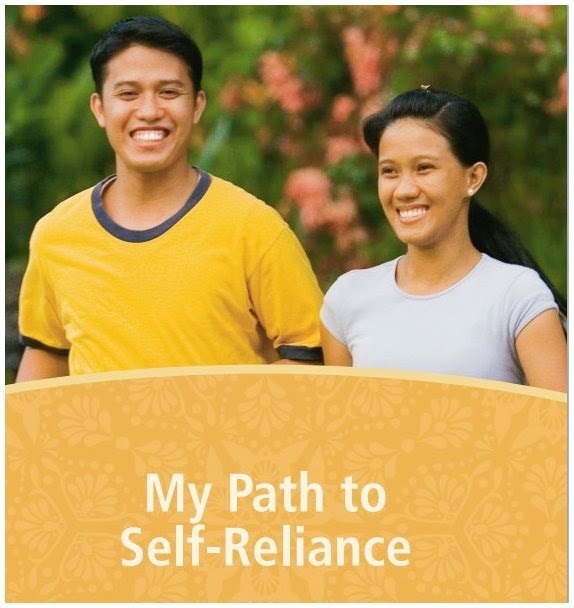 "Self-reliance is the ability, commitment and effort to provide the spiritual and temporal necessities of life for self and family," according to the Church handbook. To realize this vital opportunity to the Church members, Bacolod LDS Self-Reliance Manager Erwin J. Boiser conducted a 4-hour training and workshop to the auxiliary leaders of the branches under the La Carlota District like the San Enrique, Ayungon, La Carlota First, La Carlota Second, Masville, Manggapsang, La Castellana, and Moises Padilla. This training/workshop could tap the will power of the members to be responsible for their own spiritual and temporal well-being. And by using their agency to do it, they may solve their own problems and keep doing it until they become self-reliant. The Church will just come to help them after all they have done by exhausting their resources especially from their families, but yet they cannot meet their basic needs. Now it is the time that the Church will help them by providing them appropriate training and resources so that they could help themselves and become self-reliant. Brother Boiser gave a training on technical vocational education on how to earn lucratively from skills learned in just short period of time. He cited several success stories. From techniprenuership, he shifted his training to organic farming. 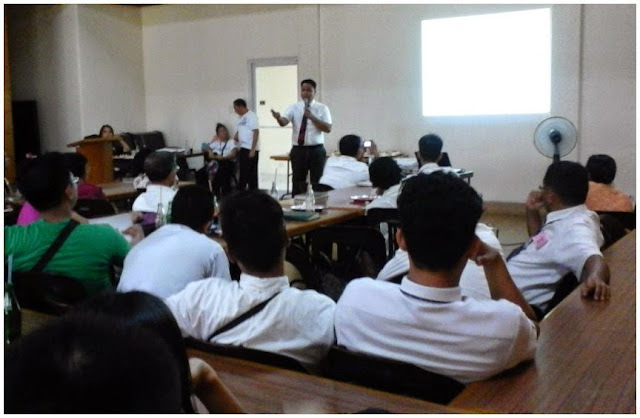 Again, he informed the leaders on how profitable also to be in agribusiness after qualifying for the requirements which the Church could finance the member-applicants for their financial needs for the said agricultural-related project. Everyone gave a nod, "At last, there is hope for Filipino farmer." This self-reliance development among the members would take four weeks to complete. With an hour of workshop by ensuring every member path towards self-reliance, Bro. 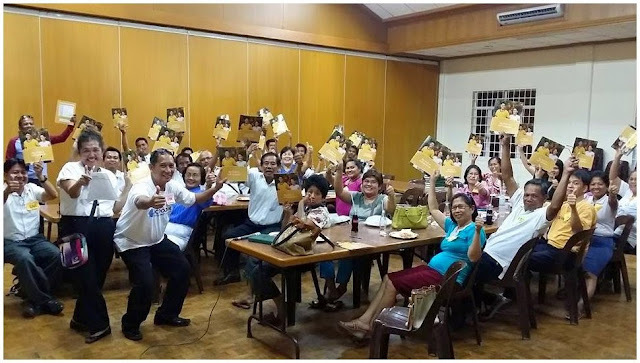 Boiser discussed "My Path to Self-Reliance" booklet and let the respective Church Self-Reliance facilitators do the four steps on the said booklets so as to remedy the gap of self-reliance. These steps are as follows self-reliance assessment, what are are strengths, what work could give them the income they need, and when self-reliance group should they join. When these leaders are diligently doing their task as prescribed in the booklets for self-reliance for a period of four weeks, they will surely reap the fruits of self-reliance like strong faith, continuing repentance, Church attendance, Full tithe and fast offerings payment, honoring the priesthood, magnifying the calling, temple ordinance, and serve others. Bro. 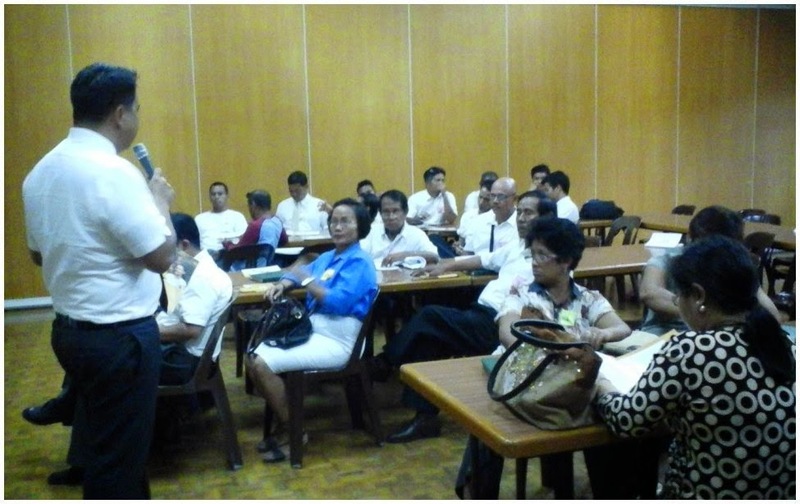 Arlen Malacaman and Sister Cristina Millado facilitated this half-day training/workshop. This was under the direction of La Carlota District first counselor Rino Ilanga. La Carlota second branch counselor Antonio Custodio offered the opening prayer and this blogger said the closing prayer. What a way to approach poverty. Education is the key to economic prosperity. You're right indeed. Those poor and the needy are humble enough to be taught, to follow what is being instructed to them and has the willingness to help themselves. I don't think they won't improve their standard of living. This is an excellent way to learn on how to develop the lives of the people. The self-reliant within them are starting to evolve after this learning time. I salute Bro. Boiser's decision to shift to training organic farming since I feel that there's a lot of potential of it here in the Philippines. The only thing lacking is awareness, training, and the right cascade. Certainly self-reliance is the way to go to ensure that we can live a quality life even without too much dependence on others. Organicefarming is a great idea to develop and improve the lives of the people.